Advisor Relationships | Fiduciary Shield by BidMoni, Inc.
Finding the best retirement plan can be complex – but it doesn’t have to be. FiduciaryShield is a free-to-advisor platform that allows an advisor to request retirement plan proposals from dozens of providers with the click of a button. No more taking calls from incessant wholesalers – only when you want. 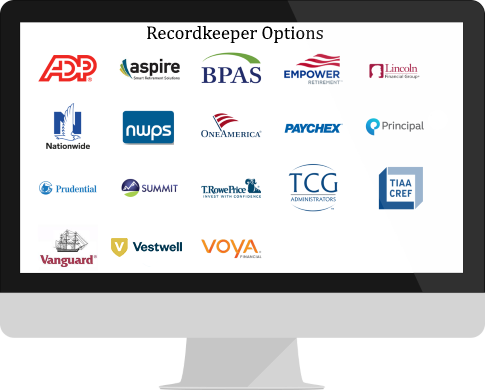 FiduciaryShield allows you to easily communicate the needs of your client to prospective recordkeepers and provides a transparent analysis of each proposal to help you match the best option for your client. Plans utilizing FiduciaryShield receive automated monitoring reports to alert the advisor and plan sponsor of changes in the market which allows advisors to focus on better servicing their clients and growing their business.